Do you consider your heating oil a ‘utility’ expense? Our Worry-Free Budget Plan makes heating with fuel oil easy and predictable. Most of our customers prefer even monthly payments over 11 months instead of paying for a year’s worth of fuel oil in just six or seven months. 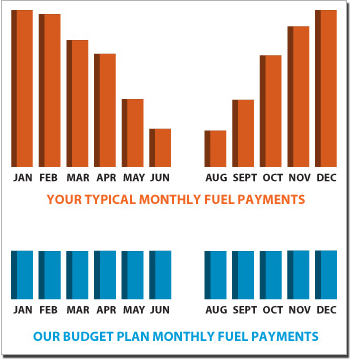 We help predict your monthly payments based on your annual fuel oil usage, current market prices, and seasonal fluctuations. We can even add your heating service plan to your monthly payment! To enroll in our Budget Plan, contact our office today!